The team have been working just as hard out of the kitchen!! 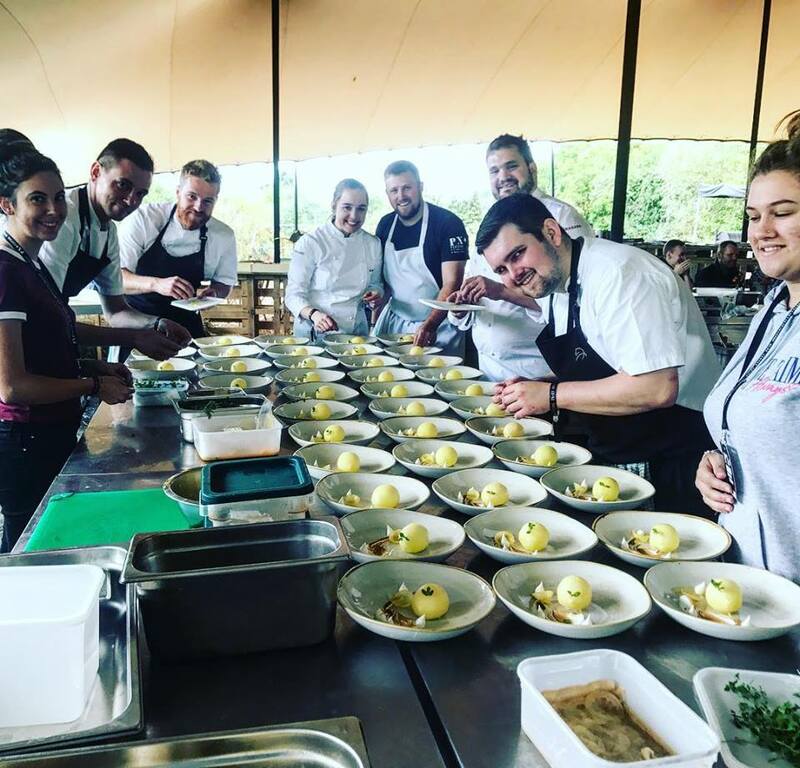 Steven, Ami and the kitchen team went to the revolutionary PX+ Festival in the Hertfordshire countryside. The first of its kind, PX Festival was created specifically for the leading creative minds of the hospitality sector – bringing together a huge collaboration of professionals to discuss, share and showcase different ideas. It was a very dynamic and lively event and The Oxford Blue were lucky enough to cook a brunch at the event, which went down very well. Watch out for exciting news coming soon about an exclusive wine dinner event.